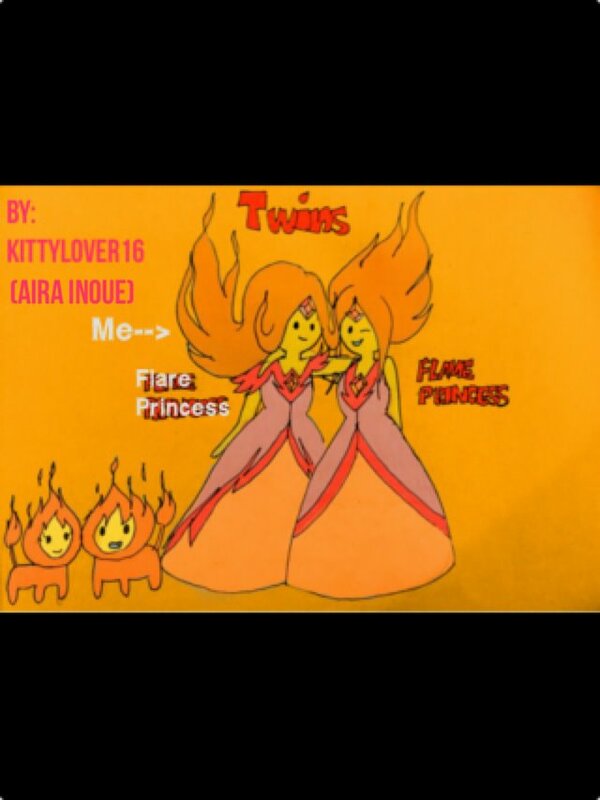 Flare Princess(Me) and Flame Princess ^_^. 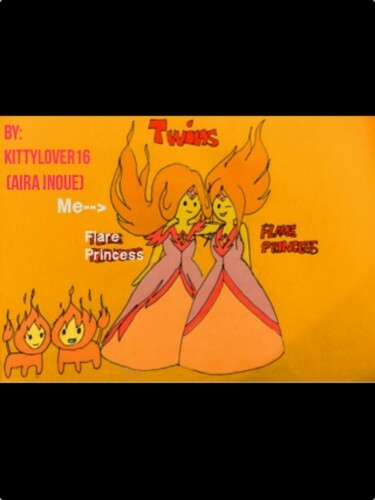 I l’amour to be Flame Princess' Sister (And I wanna have A twin in real life) So If I would be in the montrer I would like to be Flare Princess Hope toi liked her ^_^ and there is Flambo and Flambina (Flare Princess' Pet and I think she likes flambo hehe). HD Wallpaper and background images in the Adventure Time club tagged: adventure time flare princess flame princess.